This hotel puts the very best that London has to offer within easy reach. Originally built in 1911, the hotel is housed in a listed building with a stunning Edwardian façade. Rooms feature an enviable standard of décor, with contemporary amenities for your comfort and convenience. Busy travelers will appreciate the 24-hour room service accommodating visitors no matter when they arrive. 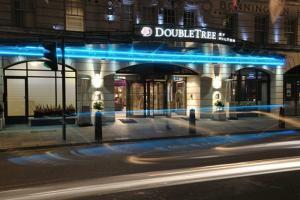 Many of London's most prominent attractions including the British Museum and Oxford Street and are just minutes away. Located just a five minute walk from Holborn Station, which offers direct access on the Picadilly Line tube to Heathrow Airport.